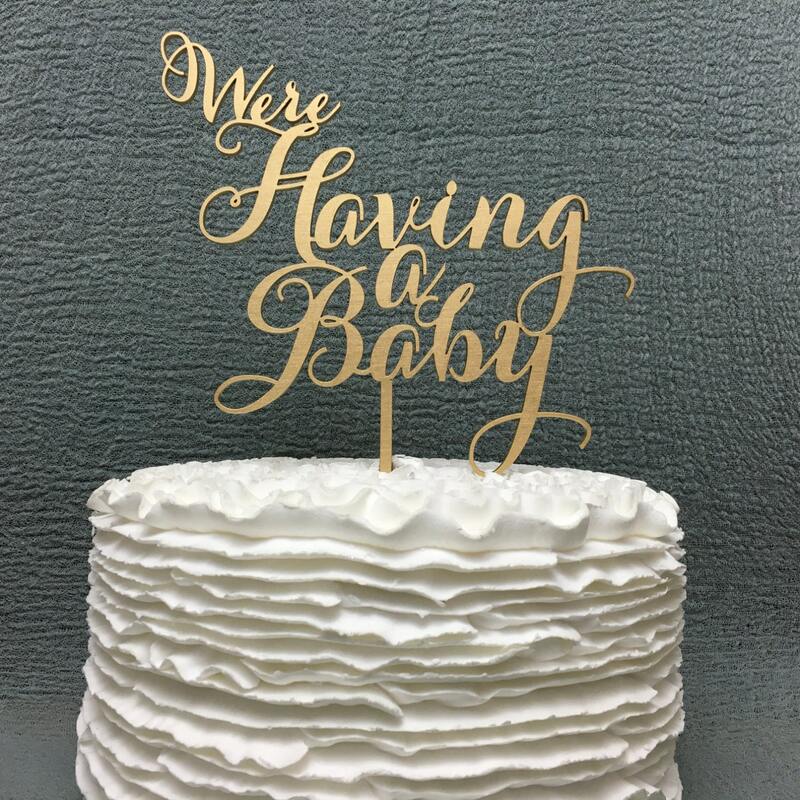 This listing is for 1 “We're Having a Baby" cake topper made from 1/8” thick, recycled eucalyptus board. 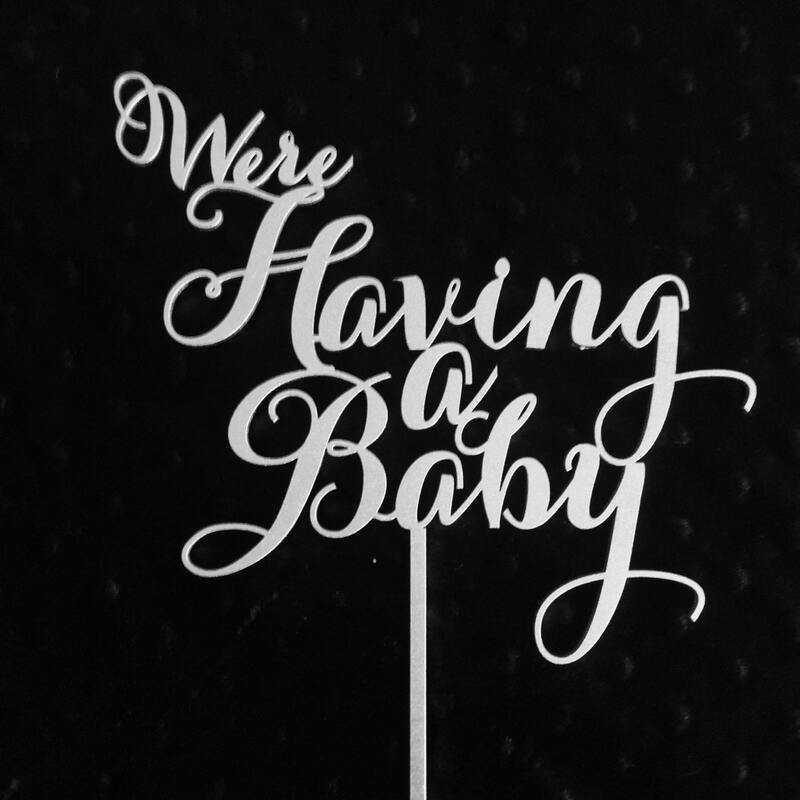 "We're Having a Baby" wording is approximately 7" wide and 6.5” tall. 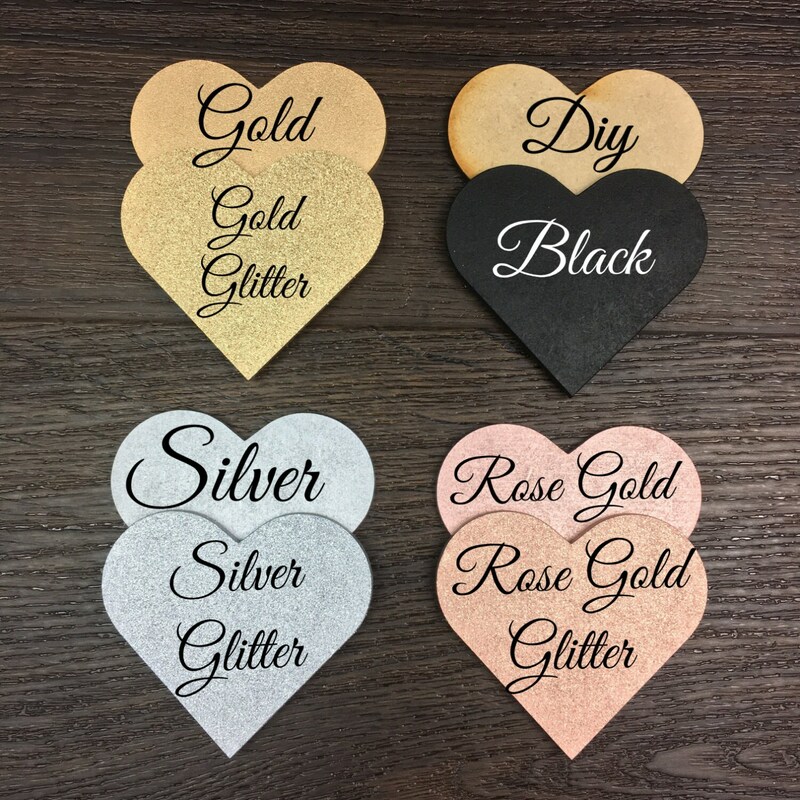 These chair signs are available in: gold, gold glitter, silver, silver glitter, rose gold, rose gold glitter, black and DIY (unpainted). 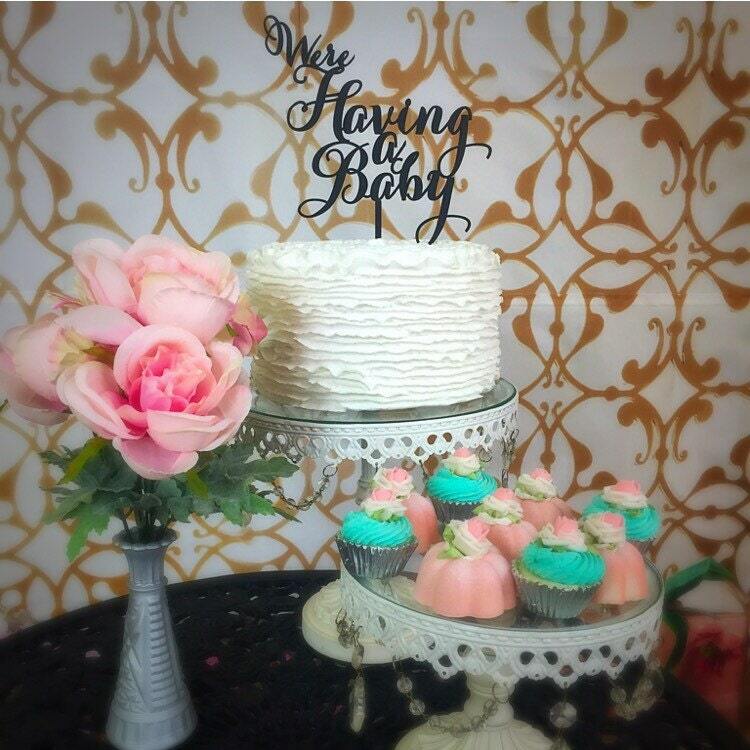 If you order painted chair signs, they will come painted on both sides. 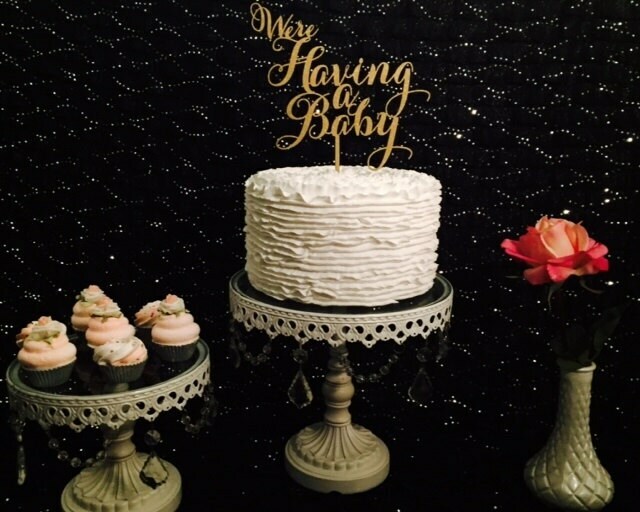 We hand airbrush all of our products with non-toxic paint and seal the sticks of our cake toppers.